When it comes to recognizing one of the fastest growing industries in India, significance of healthcare industry can’t be denied. It is considered among the top industries in the country. Are you already involved into healthcare industry? If yes, then you must be aware of aforementioned fact. However, it is true that healthcare is among the fastest-growing industries, but the problem arises when competition is observed. So, if you are running a hospital or clinic, you may find it difficult to grab desired success. The key reason behind this situation is the lack of promotion, marketing and branding. However, some doctors or medical professionals consider promotion or marketing of medical services unethical, but success can’t be grabbed without promotion and marketing. Do you want to promote your hospital or clinic? If yes, then you first need to know why many hospitals are still struggling in promotion or reaching more people. Believe it or not, but the key reason behind the failure of most of the startups in healthcare industry is the lack of advertising. It is seen that most of the hospitals, healthcare agencies and even doctors try to unlock traditional advertising methods. They want to promote their hospitals using traditional promotion methods such as print media and electronic media. But the problem arises when they find television and print media advertising an expensive option to go with. Whether you are running a small clinic or a big hospital, you first need to concentrate on making it as much popular as possible. For this, you need to create brand recognition for the same. Yes, people love choosing products or services that come with a brand name. So, if you want to promote your healthcare business, you first need to concentrate on creating brand recognition for the same. One of the key reasons behind why most of the hospitals or doctors are still struggling to promote their services is lack of knowledge on how to grab brand recognition. It is a fact that technology has changed the world it used to be. Now, with the advent of internet, it has become quite possible to find anything on your small device or computer. So, whether you want to promote your clinic or a hospital, you first need to concentrate on attracting online world. You need to look for online presence for your business. For instance, if you have a devoted website for your hospital or a portfolio website online, you could easily be able to grab online presence. Since most of the people prefer searching products and services online, they will surely reach at your hospital when they find it online. When it comes to marketing, promotion and brand recognition, it is often seen that many hospitals, doctors and medical professionals simply avoid grabbing professional marketing assistance. So, ignoring the professional help can be another big reason behind the struggle of many hospitals. If you want to lead others in the healthcare industry, you need to look for professional assistance. 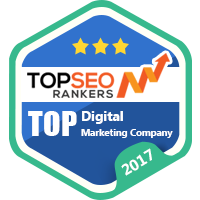 For this, a digital marketing agency can help you great.